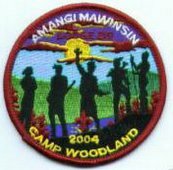 Missed this one when it first came out, Kayanernh-Kowa Lodge #219 had an event patch in 2004 for their Amangi Mawinsin. This is the 3rd patch in the series begining in 2002. A forth eJ2005 was issued last uear and is listed in a previous post. 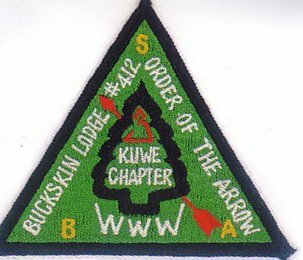 John Gonzalez has provided me several solor copies of unlisted or unpictured chapter and event items from Lodge 412 from his collection which I'll be adding to the blog over the next few days and sending copies along to OAImages. The images are scans of the color copies of the patches. Pictured below is the Kuwe X1,which will described, was not pictured on John's site or in the Tracker Software. Anyone have one available for trade? 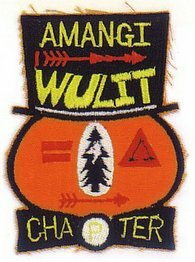 Previously, there were no known issues from the Amangi Wulit Chapter of Buckskin Lodge #412. John Gonzalez has provided me several solor copies of unlisted chapter and event items from Lodge 412 from his collection which I'll be adding to the blog over the next few days. The images are scans of the color copies of the patches. As you might expect, I'd be interested in trading for one of these myself if anyone has one available. At the Sakuwit Lodge 2 TOR this weekend, a new event issue was uncovered for Lodge 181 Nischa Nimat. Previously an undated eR19xx was known to exist, as well as dated event patches from 1980 through 1987. Some of which have been reported on this blog. 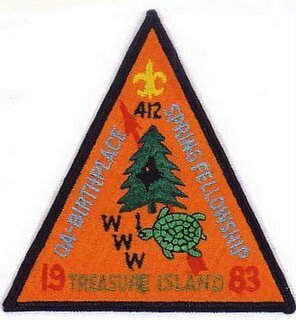 Now an a dated arc - 1990 has been discovered to accompany this undated patch. Since Nischa Nimat merged with 48, 268 and 418 into 181 Ganienkeh. This would have been the last event issue for Nischa Nimat. 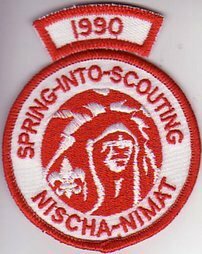 Does anyone have any information on the existance of dated event patches or arcs for the "missing years" 1988 and 1989. Still looking for the 418S3b and 418S7b (PB). Do you have any available for trade? 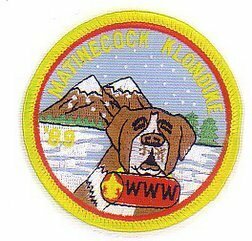 Roy More of The Scout Patch Auction (TSPA) typically does a year in review article in the ISCA (International Scout Traders Association) Journal and this year has also posted it on his blog. 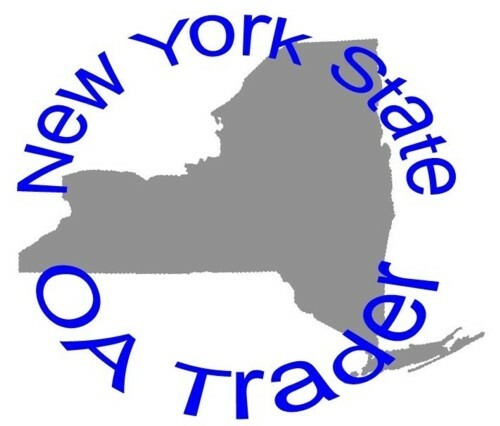 For those who don't know, TSPA is one of the largest dealers in Scout collectibles. Previously he had published numerous sales lists and auctions; although these days seems to list mainly on eBay. This 9 page article is full of pictures and information on the status of the hobby and covers all of the major collecting areas with ratings of cold, warm and hot. It can be found here. You may not agree with it all, but it makes interesting reading. If you haven't already done so, take a look at Roy's blog as well.